Up near the international border between Washington State and Canada lies a series of islands known collectively as the Outer San Juan Islands. Sucia Island, Patos Island, Matia Island are the three primary islands, with many other tiny islets surrounding them. On the edge of the San Juan archipelago, these islands are as remote as they come in Washington State. With 5 Days to spend exploring you are very likely to become familiar with most of them. What makes this sea kayak trip unique is that we are departing directly from Orcas Island. A short crossing over to Sucia Island gets us immediately into the “sweet spots.” This is the easiest way to get to the Outer San Juans, and for the entire duration of the trip you will be exploring these amazing shorelines. 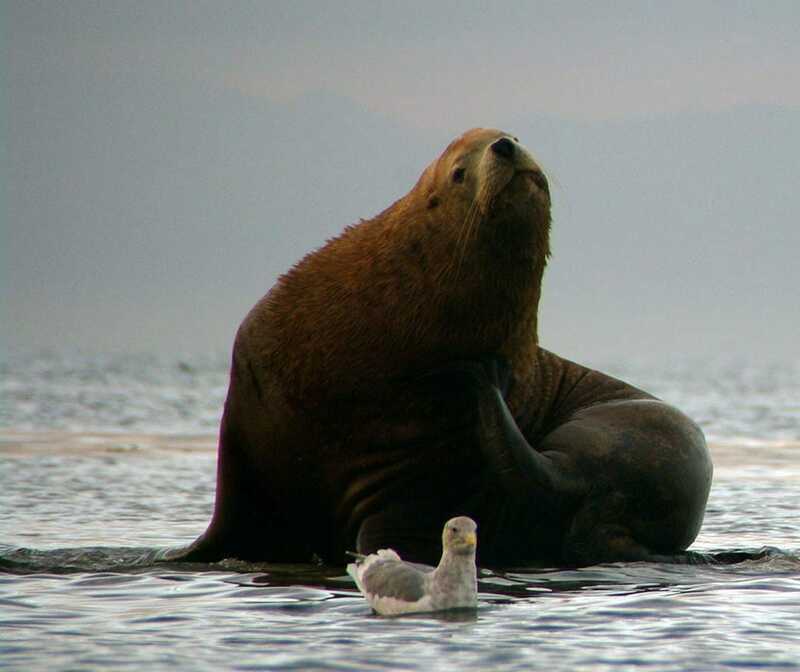 The Outer Islands rest on the southern edge of the wildlife rich inland sea named the Strait of Georgia which guarantees great views of seals, porpoise, Bald eagles and their nests, and frequently Orca whales. Humpbacks have been increasingly encountered up here as they forage offshore, and a large herd of sea lions is seasonally present in the Outer Islands . 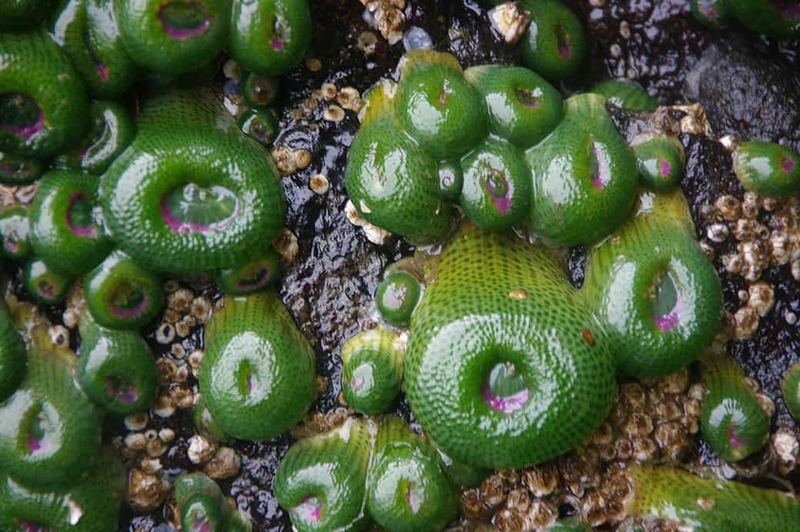 Low tides expose the most abundant intertidal life in the region. The highly eroded Chuckanut sandstone on Sucia, Patos, and Matia islands are formed into bold shapes; honeycombed cliffs, whimsical hoodoos, arches, and caves. This is one of the only places in the San Juan Isands where this unusual golden rock appears. Adding to the scenery are massive views Mt. Baker, a slumbering volcano that appears to rise abruptly from the sea and is covered in glaciers. Surrounding Mt. Baker are the rest of the craggy North Cascades, and the snowy peaks of the Canadian Coastal Range. Wide open waterways surrounding the camp sites give visitors a sense of remoteness that is unique to the Outer Islands. This is a true expedition camping experience! Once you depart from Orcas Island you will be entirely self-sufficient, carrying all that you need in your kayaks. Sucia Island Marine Park, and its nearby neighbors, are well maintained by Washington State Parks. Water is available at Sucia Island,and we carry our water to the other more remote islands. Composting toilets have been installed by Washington State for your convenience. All of the campsites in the Outer Islands are located immediately next to the beaches ensuring gorgeous views for everyone! The Outer Islands expedition is best suited for people in moderate physical condition due to the required channel crossing from Orcas Island and between the other islands. If you have any questions about whether this trip is appropriate for members of your group then please call us to discuss it. All meals (from lunch on Day One to Lunch on Day Five) plus snacks, hot drinks, and limited cold drink mixes. Please feel free to bring your own alcohol of choice. The northern San Juan Islands are collectively referred to as “The Outer Islands”. Sucia Island itself is a horseshoe-shaped island which is accessible only by watercraft. Sea kayakers and boaters venturing into its many coves quickly discover why Sucia Island is considered the crown jewel in the state marine park system and a boating destination that is truly world class. Nearby Matia Island is much smaller, but has an amazing old growth forest at its center. Half of Matia Island is set aside as a National Wildlife Refuge and is home to a large number of seals. Patos Island, at the extreme northwest edge of Washington, is one of our favorite destinations anywhere. A historic lighthouse is a short walk from the campsite, and savvy visitors know to be there when the Sun goes down in the evening. It’s simply amazing. Arriving on Orcas Island you will make your way to the north shore area known as North Beach. It is about a 25-minute drive from the Orcas ferry landing. Your guide will meet you at the launch site and will issue you dry bags so that you can begin packing your personal gear. (If time allows, feel free to drop by our office in Anacortes prior to departing on the ferry. We can check you in early and give you your dry bags at that time.) Parking is located right at the launch site, there is no cost to park and your guide will direct you to the best places to leave your vehicle. After packing your gear and loading the boats your guide will discuss some safety considerations, explain the planned route for the day, and give you a short introduction on the basics of sea kayaking. After a last minute restroom break, you’ll be off the beach and headed to the islands! Launch from North Beach, and paddle across the channel to Sucia Island. Our guides are familiar with the tidal currents and will choose the optimal route for your group. The crossing is approximately two miles and generally takes about one hour. Keep your eyes open for porpoise cavorting in the tides, or seals hunting salmon. You might even get lucky and encounter whales! After completing the crossing we usually head directly into one of the coves on Sucia Island to find our campsite. We like to find a camp early in order to unload the equipment, enjoy a delicious meal, and relax a bit before heading back out for an afternoon of exploration in the kayaks. While on the beach at Sucia Island you are free to explore the trails on your own or accompany your guide on a walk if you prefer. Later in the day, after a fun exploratory afternoon of kayaking, your guide will be busy preparing a delicious dinner for you to enjoy. This is another great opportunity to go for a walk or just relax on the beach with a glass of wine, watching the evening light coloring the sky. Sucia Island boasts some of the most spectacular sunsets anywhere in the San Juan Islands. After a hearty breakfast your guide will talk with you about the day’s paddling options. We rarely have a set plan for this day, so feel free to talk about what you are hoping to see and do. Our guides love to try and tailor every trip to meet their guests expectations. If weather and tidal currents are good then your guide may suggest kayaking to one of the neighboring islands, called Matia or Patos islands, to camp for the night. This can be a very rewarding experience. It is more physically demanding and dependent on fair weather conditions, so if you are feeling ambitious then let your guide know and they would love to incorporate it into the trip. We have found that most people are happy with about 5-6 hours of paddling, with plenty of relaxing breaks on the many small beaches located around Sucia Island. Lunch is almost always prepared in the field, away from camp, so bring all that you need for the day. If you paddled to Patos Island you will rise to greet your morning in the Outer Islands with a hot cup of coffee and watch as the Sun rising changes the shadows on the surrounding islands. The views south are spectacular. After breakfast, you and your guide will talk about the best route back to Sucia Island before taking down your camp and packing the boats. Launch time is determined mostly by the tidal currents. Some trips must leave fairly early in the morning, and other trips will wait until the tides turn around in your favor. It all depends on the days that your trip is happening. Lunch will usually be another beach break somewhere along the route. Strong and very ambitious groups may take advantage of the currents and weather to paddle all the way to Matia Island today. It’s a long day, but the short trail around the island will reward you for your efforts. One of the better old growth groves of massive trees can be found here, along with private coves and loads of seals. Your group may also prefer to make camp on Sucia Island again and use it as a base camp for day trips to the surrounding islands. You and your guide will tailor the trip to meet your needs. You’ve settled into the daily patterns of a kayak expedition by now. Camp life seems normal, and your “real life” back home may seem like a distant memory. If you chose to base camp the last couple of nights on Sucia Island then this could be a perfect day to paddle over to Matia Island. Or perhaps you’d prefer to linger on shore a little longer today, exploring the many trails of Sucia Island. Either way, it is good to be here! The last day of a 5-Day kayak expedition is always a bit melancholy. You are excited to get back home, but you have also settled into the rhythms of living outside. The birdsong in the morning is the best alarm clock that you could ask for. After one last breakfast in camp, and packing up your gear, you hop into your kayak and head south toward the mountainous flanks of Orcas Island. 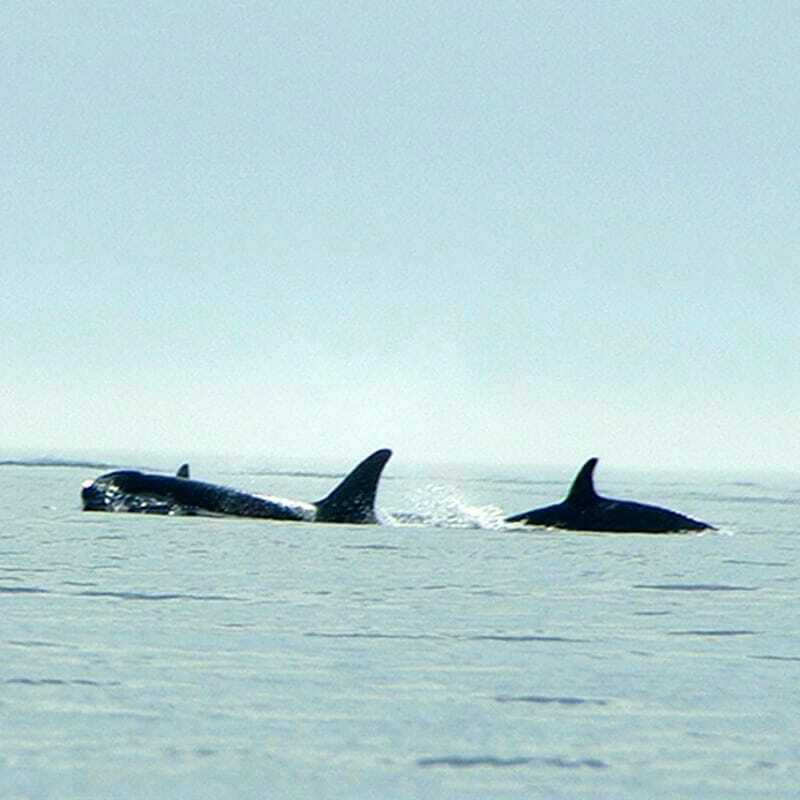 Depending on the needs of the group, the tidal currents, and the prevailing weather conditions, these trips usually return to Orcas Island sometime between 2:00 pm and 5:00 pm. After unpacking your belongings and bidding your guide farewell you are off to the next adventure! **This is a sample itinerary which outlines the type of experience that most often happens. Due to the dynamic nature of outdoor adventures, things can sometimes change without notice. We work very hard to provide the best possible experience for each of our guests so if you have any special needs or concerns, or any particular expectation that you have, then please do call us so that we can talk to you more about it. Thank you! A professionally trained and fun guide, with a comprehensive safety kit. Dry bags for your personal gear, usually two 20L bags and one 10L dry bag. All meals, including breakfasts, lunches, dinners, snacks, and hot drinks. We specialize in small group, all inclusive, multi-day sea kayak trips in the San Juans. On these multi-day sea kayaking expeditions we strictly adhere to a 6 guest per guide ratio. All trips larger than 6 people will have two guides. A small sea kayaking group can move much more efficiently. We need less time attending to logistical issues like setting up or breaking camp and have more time for exploring and having fun in the San Juan Islands. 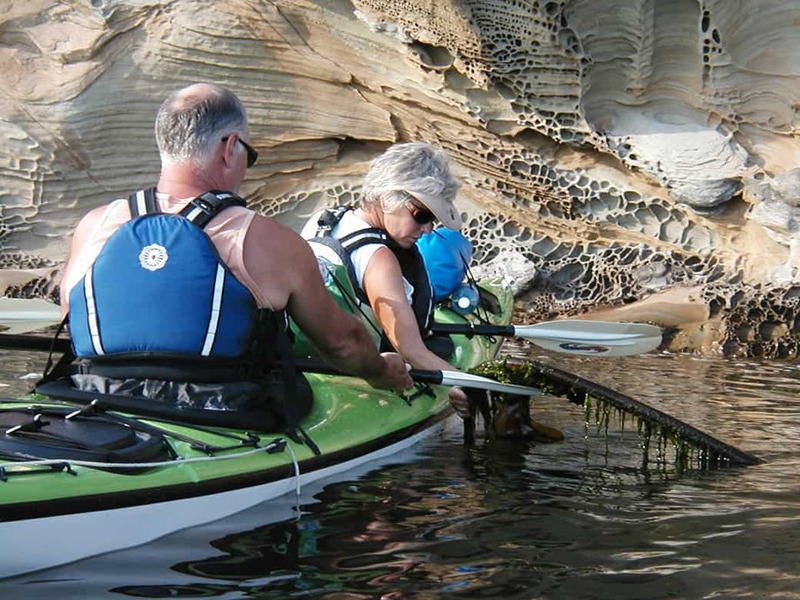 The longer multi-day sea kayaking expeditions are best suited for folks in reasonably good shape. Occasionally there is a need to make a long push to get to the next campsite and we would not want to wear anyone out on a long crossing. We actually design these trips to be a little more physically involved. 5 day trips might average 8-10 miles per day paddling. Anacortes Kayak Tours reserves the right to change or cancel available departure dates and prices. Once you book a kayak tour with us we will run it, as long as weather conditions permit us to conduct a safe sea kayaking excursion.